Convert MP4 to WMV, MOV, AVI, and other 1000 formats. Burn MP4 to DVD/ISO/DVD folder with free DVD menus. The compatibility with a large number of players along with good compression capability makes MP4 as one of the most preferred multimedia formats. But when you need detailed editing of your videos or want to insert them in your PPT, MP4 is not the best choice, and you'd better convert MP4 videos to WMV. Standing for Windows Media Video Files, WMV is a compression format developed by Microsoft and used commonly over Windows-based devices. The format is widely used for Internet streaming apps and features high compression quality. Once decided for conversion, you can convert MP4 to WMV online or through other programs. The MP4 to WMV online converters support a number of formats, you can also convert WMV to MP4 online if needed. 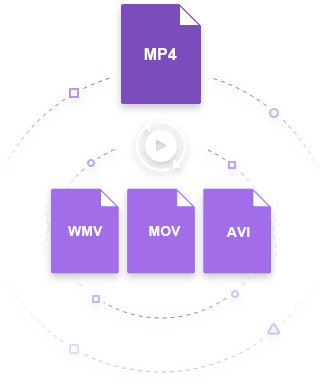 Read below to know in detail about MP4 to WMV online converters and other solutions. When everything is taking an online route, then why converters would be left behind. There are a number of online WMV converters that allow converting MP4 and other formats to WMV format without installing any software on your PC. These online tools work on your browser and are generally free to use. A roundup of the top WMV converters online are as below. This is a popularly used online video converter to WMV that is free and needs no download or installation. You can either upload the video or add its URL directly to the program interface for the conversion process. Files from the cloud can also be added. The converter also allows customizing your videos by changing its size, bit rate, frame rate and audio parameters. The converted files can be downloaded from the program interface. The free version supports converting a maximum of up to 100MB file. Multiple formats are supported by the converter and thus it also works as a decent AVI to WMV converter online in times to need. For advanced needs, you can go for the paid packages which offer larger file size, ad-free pages, high conversion speed and other facilities. Open https://video.online-convert.com/convert-to-wmv on your PC browser. Click “Choose File” to add a file from PC, cloud or its URL. Customize video from “Optional Settings” tab if needed. Click “Convert file” to proceed with the conversion process. This is another name in the list of top ways to convert MP4 to WMV free online. This web-based program is easy to use and needs no installation. You simply need to browse and add the desired file from your PC and select output format. The URL of the file can also be added to the interface. Once converted, you can either download the file from the converter interface or can also request its link on your mail id. 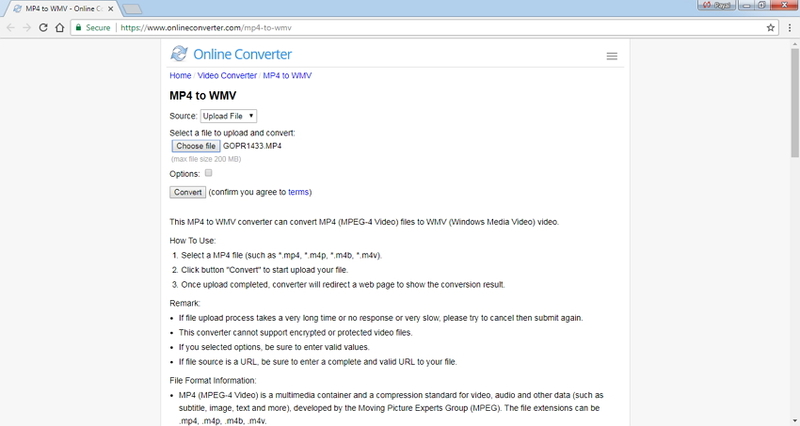 Since the converter supports all popular formats, you can also convert AVI to WMV online using it. Besides, if you want to convert MP4 to WMV online free over 100MB, it's undoubtedly the best choice. Launch http://www.convertfiles.com/convert/video/MP4-to-WMV.html on your browser. Browse and add local MP4 file or add its URL. Select WMV as the desired output format. Click Convert to start the process. 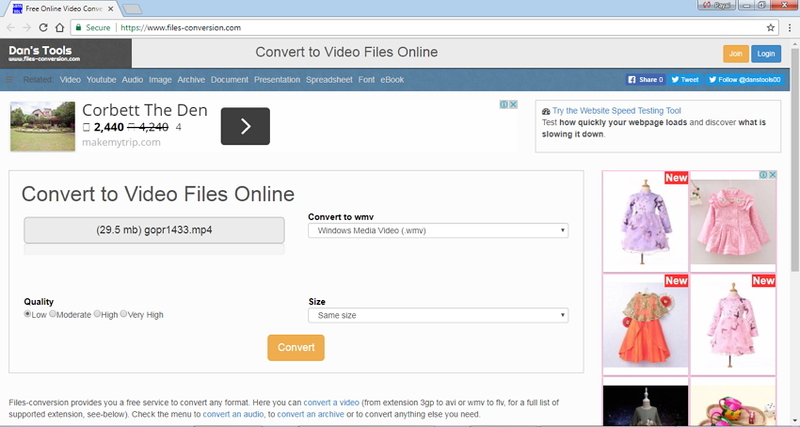 Files Conversion is a free to use WMV converter online that supports an array of audio, video, and other file formats. The interface of the program is simple and can be used by non-technical users as well. You can also select the converted file quality from options of – Low, Moderate, High, and Very High. File size resolution of the file can also be selected as needed. Open https://www.files-conversion.com/ on browser window of your PC. Hit “Select a file” to browse and add the MP4 file from your PC. Select WMV as output video format. Select quality and size of the converted video. Hit Convert to initiate the process. Another popularly used online MP4 to WMV converter is Convertio. You can either drag and drop the files to the program interface or add them from your PC, Google Drive, Dropbox or URL. The free version of the program supports maximum 100MB of file upload. Once converted, the files can be saved to your PC, Dropbox or Google Drive. Multiple formats are supported by the program and thus you can also convert WMV to AVI online or MOV to WMV online using Convertio. The converter also has paid plans which allows adding larger file size, have unlimited conversions per day, multiple concurrent conversions, and other additional features. Open https://convertio.co/mp4-wmv/ on your PC browser. Add MP4 file from your PC, URL or cloud storage. Click “+ADD MORE FILES” if you want to add multiple files at a time. Hit “Convert” to proceed with conversion process. Zamzar is another popular name when it comes to online converters. The program supports a wide array of file types including video, audio, documents, and others for conversion purpose. 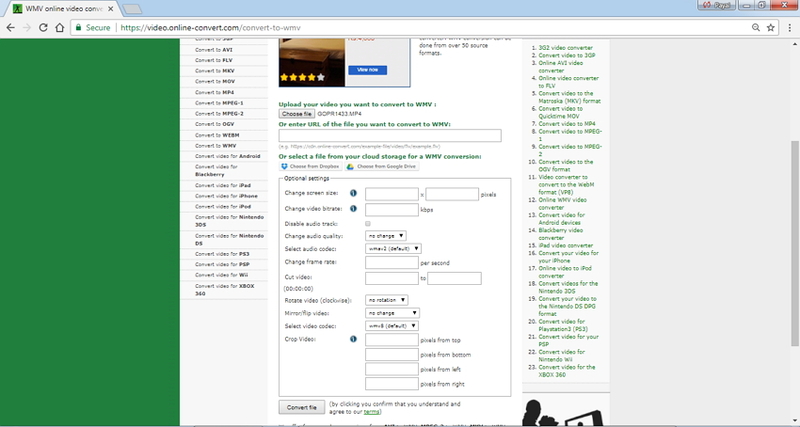 So not only MP4 to WMV, you can also convert WMV to AVI online or convert MOV to WMV online using the tool. With the free version of the converter, you can add a maximum of a 50MB file which will be converted to your desired format and its download link will be sent to your mail address. For additional needs, you can go for the premium paid plans of Zamzar where you can enjoy higher file size limit, concurrent conversions, online storage, high-speed download, ad-free pages, and other features. Launch http://www.zamzar.com/convert/mp4-to-wmv/ on your PC. Drag or drop files from your PC to the converter interface or click “Choose Files” to browse and add. 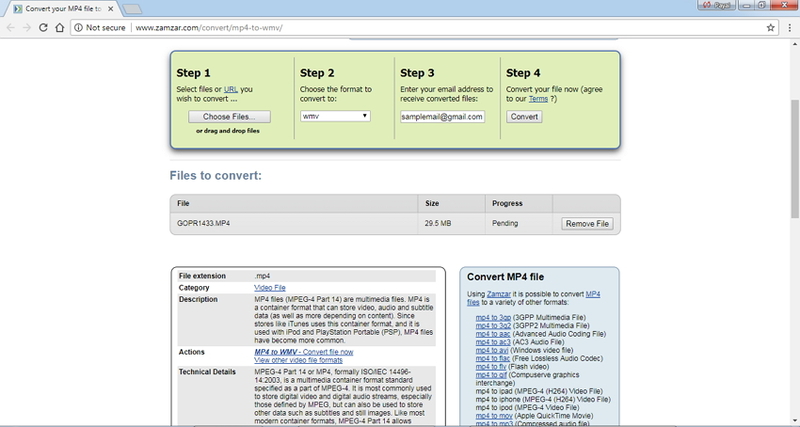 Click Convert to start uploading your MP4 file and proceed with the conversion process. This is another online video converter MP4 to WMV that works well with other popular formats as well. The program has a simple interface where a maximum of 200M file can be uploaded for conversion. The converter also allows you to cut the video clip if needed. Encrypted and protected video files are not supported by Online Converter. You can either add the file or its URL to the interface of the converter. Open https://www.onlineconverter.com/mp4-to-wmv on your PC. Click “Choose file” to add the local MP4 file. You can also add the file URL. Under "Options" tab, select video length if you want to cut it. Hit "Convert" to move ahead with the conversion process. Online converters are decent programs without any additional features functions. Though the majority of these programs are free to use, there are a number of limitations associated with them. Online converters work on the browser and are thus totally dependent on the availability of internet. Moreover, the conversion speed also depends largely on the speed of internet available. Online converters have restriction to the maximum file size that can be uploaded to the program for conversion. Online converters do not support batch processing of multiple files at a time. These online WMV converters do not allow editing and customizing your videos. Conversion speed of online converters are slow. The number of supported formats are limited. Considering the above limitations, it can be concluded that for complete and professional conversion needs, you need an alternative to online MP4 to WMV converters. The Best Alternative to Convert MP4 to WMV Online is Wondershare UniConverter (originally Wondershare Video Converter Ultimate). This high-end desktop software works excellent with Windows as well as Mac system and supports over 1000 popular formats. Device specific format conversion is also supported. There is no restriction on the number and file size that can be added to the program for conversion. Batch processing is supported to facilitate multiple file conversions at a time. 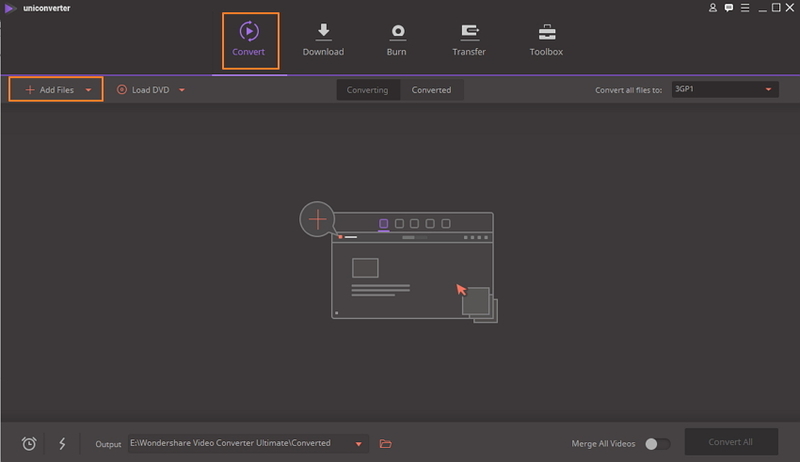 The APEXTRANS technology of UniConverter (originally Wondershare Video Converter Ultimate) makes the conversion process 30X faster than its competitors. Additional features include in-program editing tools, video download from more than 10,000 sites, DVD burning and file transfer to a number of devices. Directly convert MP4 to WMV, 3GP, AVI, MKV, MOV and other 1000 formats. Convert MP4 to WMV with 30X faster speed compared with common converters. Step 1 Open UniConverter (originally Wondershare Video Converter Ultimate) and load MP4 files. On your PC/Mac, download, install and open the Wondeshare WMV converter. To add MP4 files to be converted, you can simply drag and drop them to the software interface. Alternatively, click +Add Files to search and add files from your computer. Step 2 Select the output format as WMV. After adding MP4 files, the next move is to select WMV as output format. You can do by opening drop-down menu from Convert all files to: option. 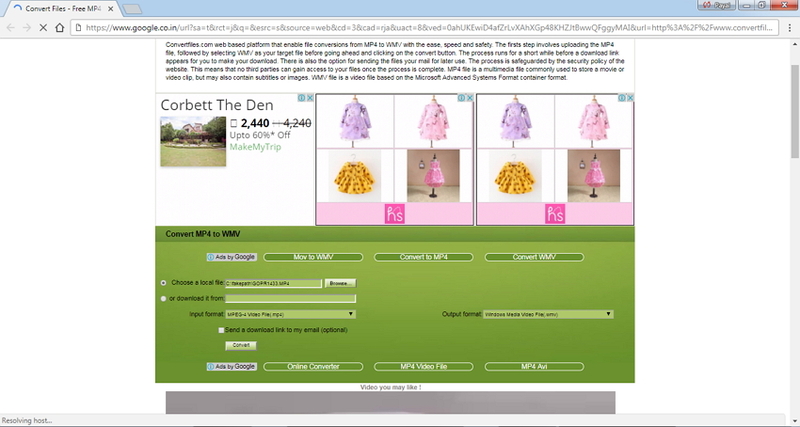 Select WMV format and desired resolution from the Video tab. Note: You can edit your video before conversion by clicking one of the editing icons under the video thumbnail if you want to trim, crop, add subtitles, apply effects etc. Step 3 Convert MP4 to WMV. At the output folder, you can select the desktop location where you want to save the converted file. Finally, hit Convert All to proceed with the conversion process. So you can convert MP4 to WMV online for basic conversion functions or go with Wondershare UniConverter (originally Wondershare Video Converter Ultimate) to enjoy high-speed conversion with a host of additional functions.